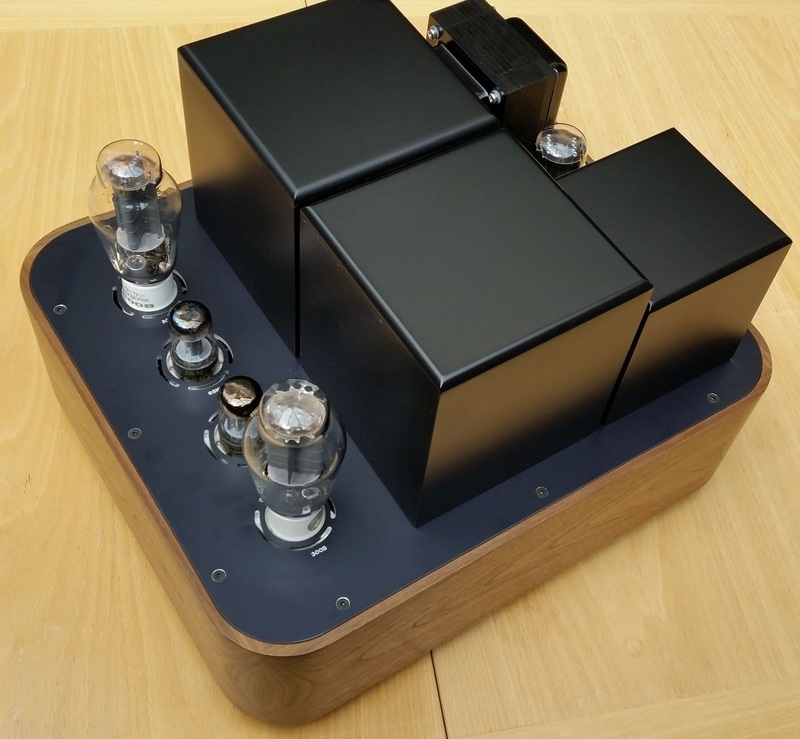 Following on from the successful launch of the SJS Arcadia Model 3 MM RIAA Phono amplifier, SJS Electroacoustics are pleased to present the matching all new bespoke Arcadia Model 5 stereo singled ended 300B power amplifier. The Arcadia Model 5 power amplifier is a modern implementation of the classic 6SN7-6SN7-300B topology with a few tweaks, mainly in the psu design, component selection and layout. 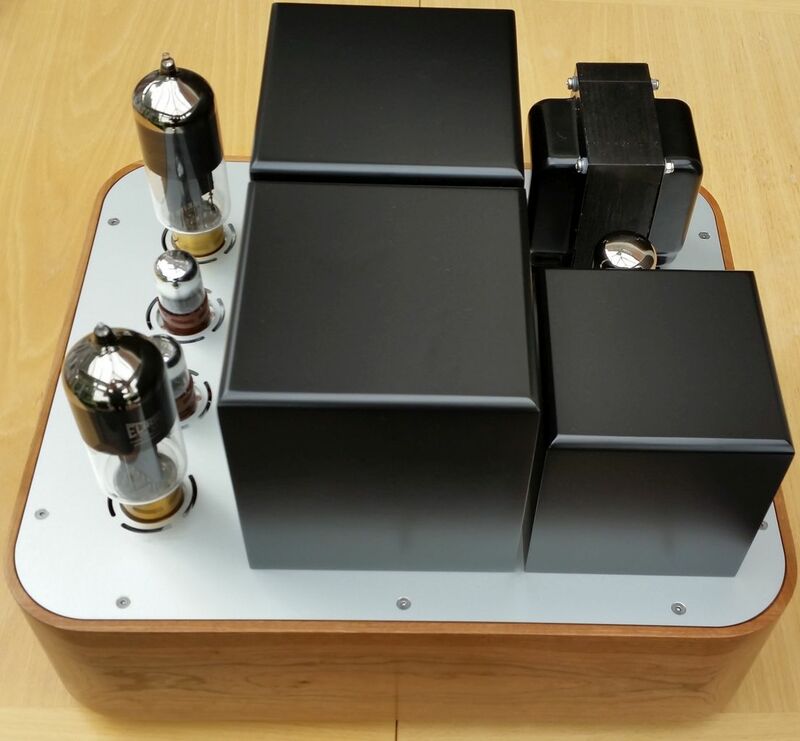 The standard version is supplied with large wide bandwidth multi-section IE core output transformers, carbon film resistors and high quality film and copper foil coupling capacitors. 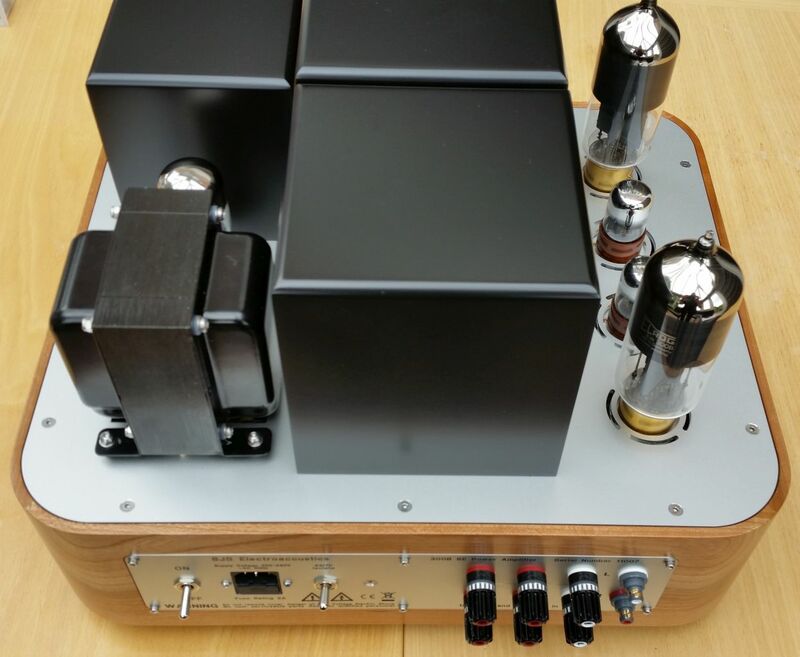 The Model 5 SE 300B power amplifier is hand built to order in England, and therefore we are able to offer customisation to meet your aesthetic and sonic preferences. The solid wooden chassis is available in a range of four standard choices; cherry, maple, light oak and walnut with others such as zebra wood available to special order. The chassis panels are available in either natural or black anodised aluminium as standard, with other colours, such as blue, red or gold, available to special order. 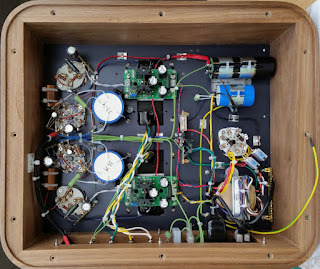 Bespoke customisation of the internal components is also possible to meet our clients' specific requirements, whether it be for use of a certain interconnect cable between the phono sockets and the circuit, or replacement of the coupling capacitors, power supply capacitors or resistors, for example, these can be discussed at the point of ordering. Acoustics engineer, designer and constructor of valve audio amplifiers for domestic audio systems. These HTML documents, and associated graphics, are Copyright 2019, SJS Electroacoustics. These documents may not be reproduced in any manner without the permission of the copyright owner. 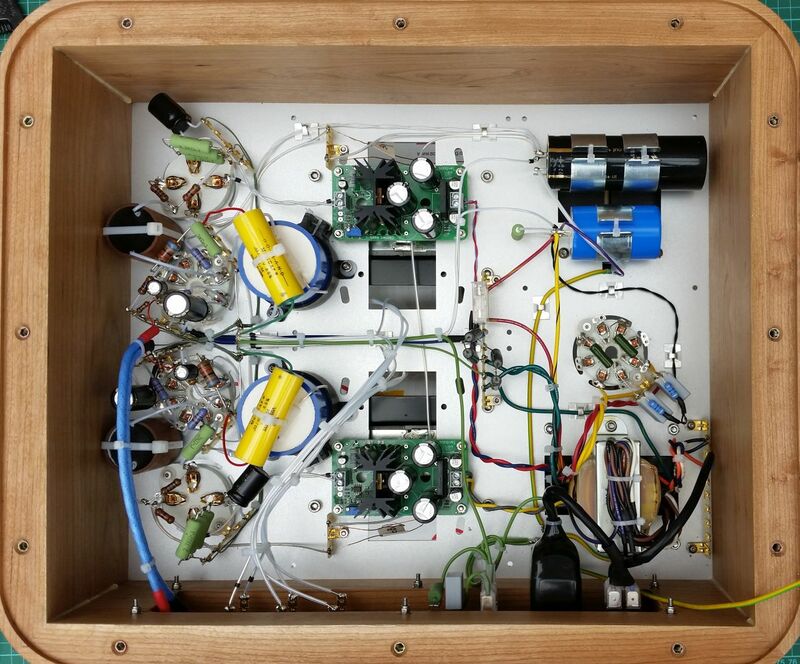 The schematics presented here are Copyright 2019, Acustica Limited trading as SJS Electroacoustics and are offered for construction on a non-profit basis only. 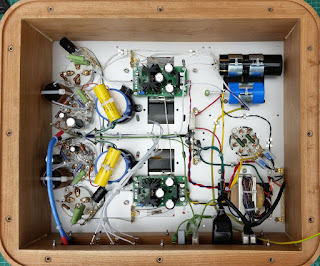 Any persons wishing to profit from these designs, or requiring similar should contact SJS Electroacoustics for licensing.